Lucy and Ted are a really cool couple. I love Lucy's energy and her focus - she know what she wants and goes after it. Ted is a bit more chilled and laid back, which strikes a perfect balance to Lucy's energy. I love seeing how my wedding couples balance each other out! Balance is a great thing in a marriage, sometimes it's more evident than others. I could tell that Lucy and Ted are perfect for each other. I met up with them at a Starbucks in Hinsdale, the one next to the Whole Foods Market. Lucy's mom came along with them, which I thought was great (I love it when the parents are involved in some of the wedding plans). 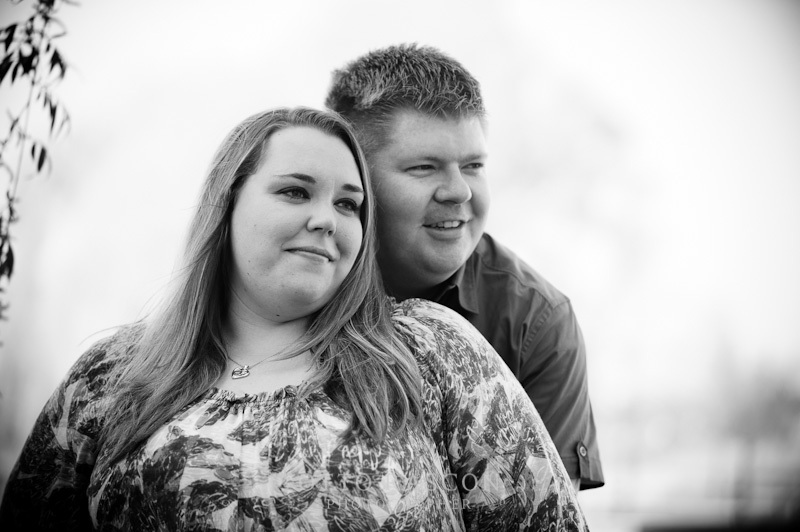 We were able to talk about their weddings plans and we also came up with a location for the engagement session. Lucy wanted to shoot at the Graue Mill and Museum which was only a few minutes from our meeting place, but on the Oak Brook side. 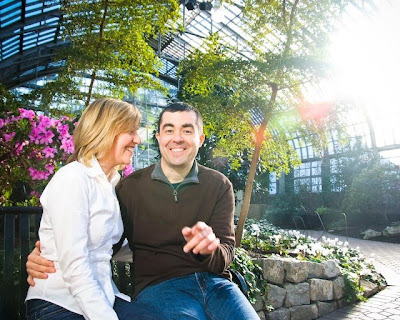 We met at the Graue Mill a few days later and were greeted by a perfect day and an art faire. The actual Graue Mill is surrounded by beautiful little nooks to shoot in or around in. We were able to spend about an hour together since Ted had a flight to catch back to the west coast. I had a great time with them, which got me pumped-up for their wedding. 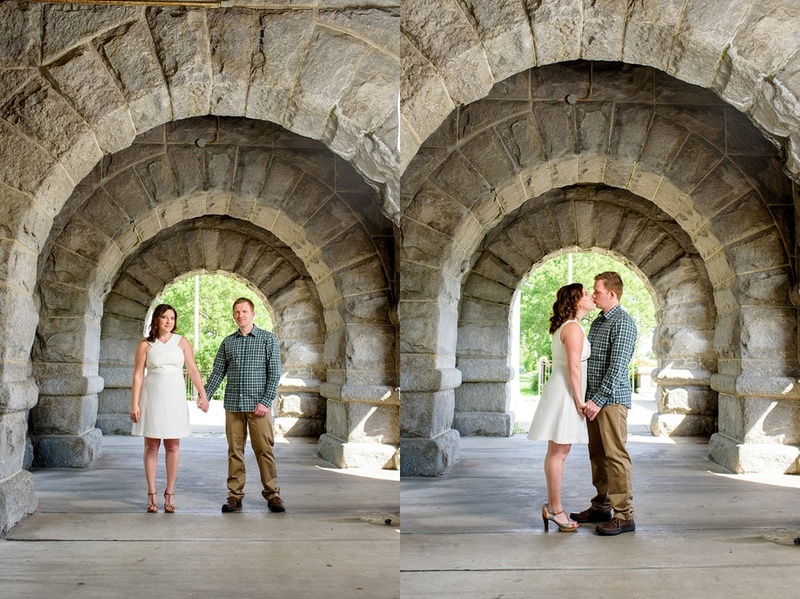 I was able to see how good they are together and was able to capture some really fun photos. My goal was to capture Ted smiling, and I did! My many thans to Effie and Gary (Lucy's parents) for coming out and spending a little time with us. 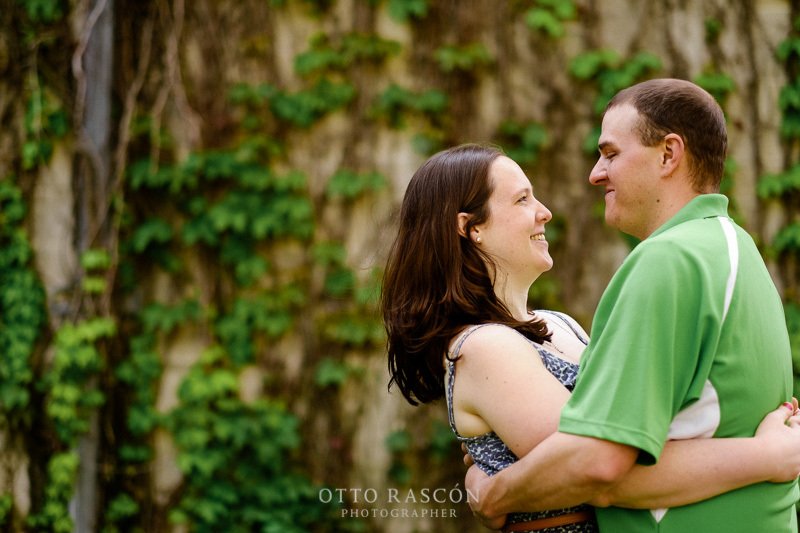 I'm looking forward to sharing some of their wedding photos, so come back and check those out! Well that's it for now guys! More to come. Cheryl and Craig - what a calming and loving couple. 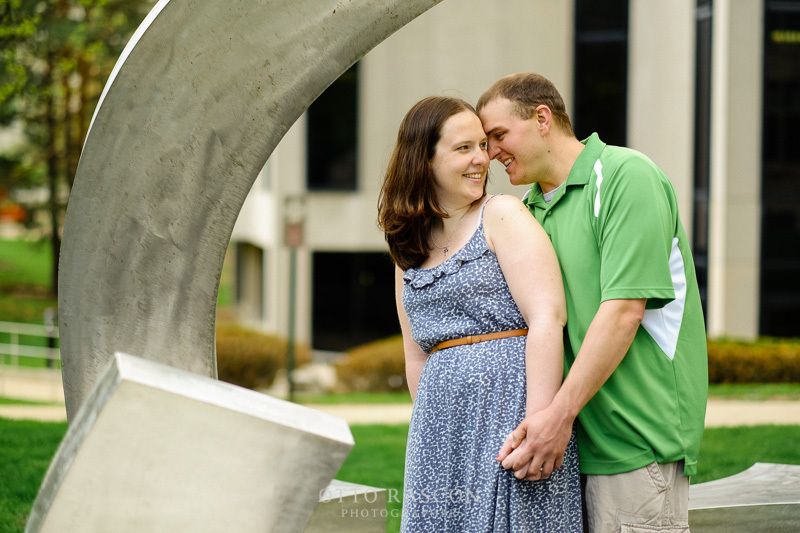 I met with them at a Starbucks in Orland Park a little before the engagement photos were taken. We talked about how they met, about their wedding plans, Cheryl showed me photos on her iPad, and Craig was as cool as can be. I fell in love with these guys immediately (total "couple crush") and was instantly hoping they would hire me to photograph their wedding. I remember coming home and telling my wife about how I hoped they would hire me - and they did! 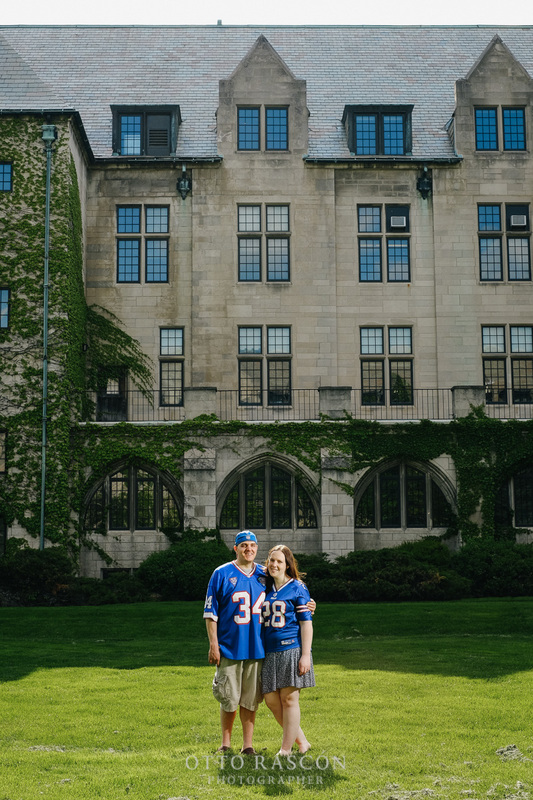 I would love to go on about how much fun we had at the engagement session. I could go on about how loving, affectionate, and respectful Cheryl and Craig are towards each other. But I think it's best to look at the photos and see the warmth for yourself. It's also fun to imagine Cheryl laughing at my corny jokes. Be careful though, her laughter and smile are infectious. 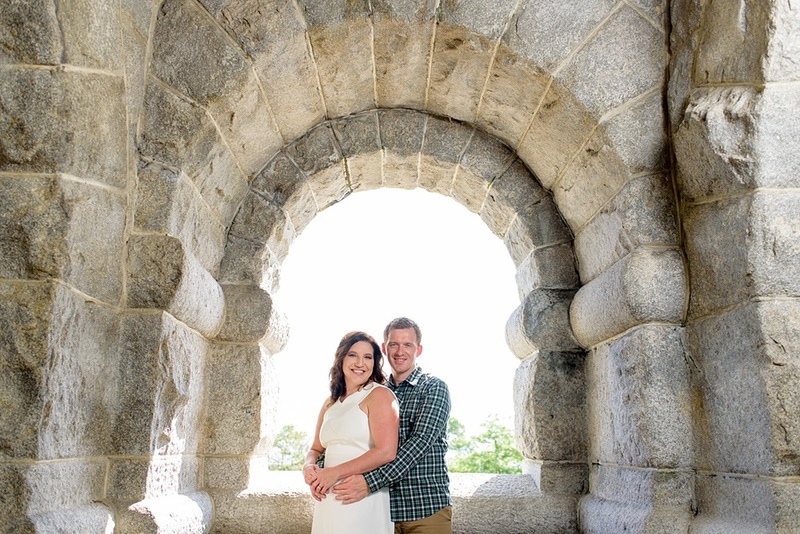 I have to thank my friend David Fowlie for referring Craig to me and my wedding photography services. Without his referral I would have missed out on one of the best experiences of my photography career. Thanks David! Thanks for checking out my blog! More to come. 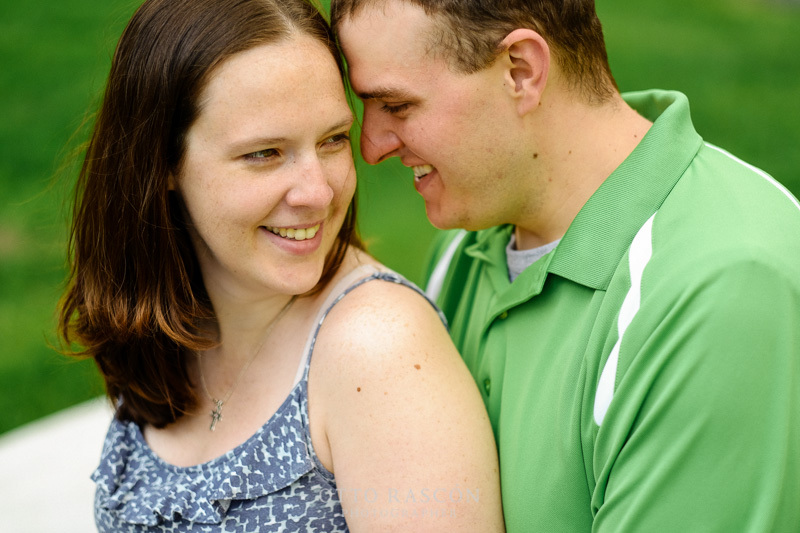 Jen and Terry are getting married at the end of April and I'm really excited for them. They are a fun couple and I enjoy reading Terry's Facebook updates - he's a die hard Brown's fan and isn't afraid of showing it. 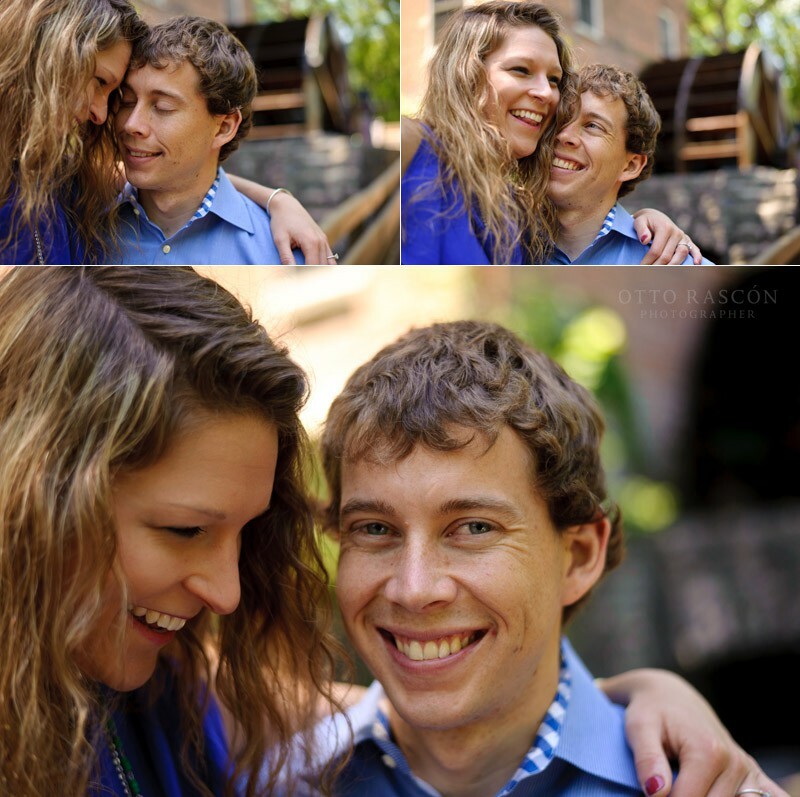 This engagement session was so relaxed, fun, and full of great conversation/laughs. Homerding Park is a great find for me: it has beautiful trees, its next to a golf course, it has a pretty large pond, and it has a couple of sweet bridges. The funny thing is that it's really hard to see if your driving down Harlem as it's sort of covered up by a few sandy hills. But once you're there it's pretty amazing - having 70 degree weather in March added to that amazing feeling! It's also near Orland Park (which I'm around that area a lot), so taking photos at that park was a win-win situation. Thanks to Jen for thinking of that place. Misuzu and Alvin will be tying the know in a few short weeks and I had the privilege of hanging out it with them for their engagement session. 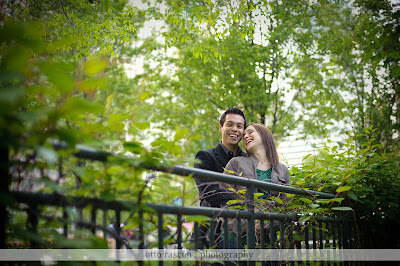 It was Misuzu's idea of shooting their engagement photos at the Osaka Japanese Garden - I later found out that Alvin proposed to her in the garden. So it made a lot of sense to go back there and take a few photos of them before their wedding. Shooting in a new location is always a blast and allows for new ideas to flow. I felt like a kid in a candy store the moment I entered The Osaka Japanese Garden. The colors were beautiful and there was a peacefulness to that area that I was not expecting. I couldn't even tell that we were in the backyard of the Museum of Science and Industry. Misuzu and Alvin definitely compliment each other - she is the heart and he the reason. It's was very obvious to me that they really care and love each other and I cannot wait to see what they do once they are married. My many thanks to AnnMarie Gilmore for assisting and shooting with me. Her passion for photography is very evident and I look forward to having her assist me at Misuzu and Alvin's wedding. Stay tuned for those photos! 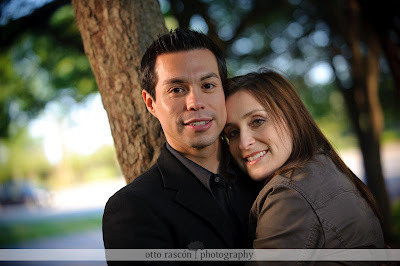 Sam & Rigo are flat out a cool and loving couple. They have to be one of the most kissy-kiss couples (I just made up this term) I have ever photographed, and I love that about them. They are totally into each other and it was easy to see that right from the start. 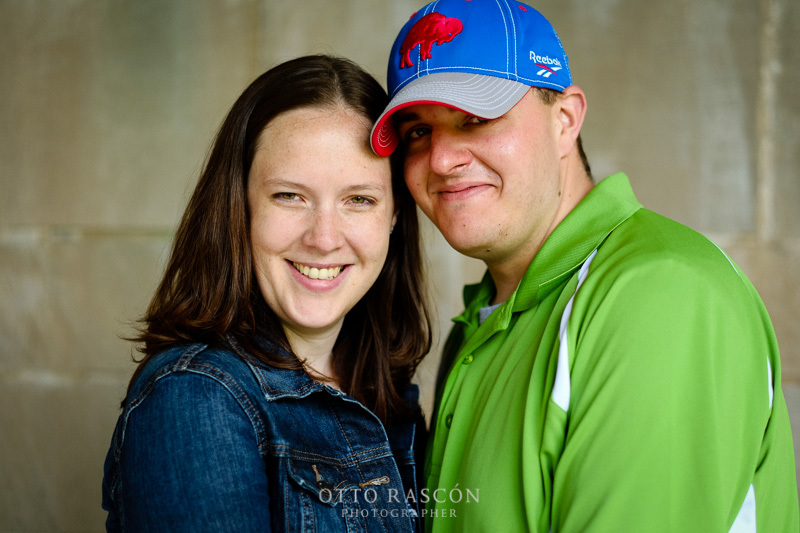 I'm so pumped to be shooting their wedding in a few short weeks! We started at Milton Lee Olive Park, which is near Navy Pier. I really enjoy shooting at that park, as did Sam and Rigo. Olive Park has one of the best views of the city, bar none. Check it out when you get a chance. The sun was setting fast so we started shooting right away. We had planned on hitting up Navy Pier as well, but changed plans at the last minute and then headed out to the West Loop. I was excited about shooting in the West Loop, as it's the complete opposite of shooting in a park. The textures and feel of the area is awesome. But the sun was gone by the time we arrived and we were hungry, so we decided to shoot for just a few minutes - I had to follow that photographer instinct. The last 3 images are what we were able to get in the West Loop, so I am so glad that Sam & Rigo were cool about staying out there a little longer. My many thanks to Steven Ryne for assisting and shooting with me. It was great having him along as I whistled Mary Poppins tunes all during the shoot, I'm so glad he didn't judge me. It will be great having him shoot Sam & Rigo's wedding with me. So here is the rest of the post that I blogged last week as promised :) First off, Araceli + Mike were so much fun to work with. Their willingness to try things and forgo the original shooting plan was amazing. Secondly, I loved that they came prepared to be photographed, both in spirit and wardrobe (I mean, C'mon, just look at her dress!). These 2 things made for an amazing experience. That and Navy Pier looks amazing after a day of rain. The original plan was to meet up at Milton Lee Olive Park, a.k.a. Olive Park, and shoot the engagement photos at the beach. Well, that didn't work out as planned due to rain making the beach look less appealing than usual. So we walked around Olive Park (which I LOVE) and made use of the many nooks and crannies available to shoot in and around. That park is seriously like a candy store for photographers. I had my friend and fellow photographer Jenn assist and second shoot with me. I am so glad that she was there. She is awesome and helped out a ton. We then headed out to Navy Pier and hung out inside to wait out the rain - yes, it started raining again. A few places were closed off around Navy Pier, which was a bummer. But we were still able to shoot at the indoor garden, the one with the cool water arches. After the rains came and left the dramatic clouds rolled in and the sun came out for a while. Very cool and I could not have asked for a better day to shoot. We went outdoors and finished the shoot to a beautiful sunset. Thank you again Araceli + Mike! This was an amazing shoot and I am glad that I could serve you both. I hope you guys have an amazing wedding in Mexico. I look forward to hearing about it. By The Way: Again, stick to your guns and do the shoot. The rain kept coming and going all day and I was tempted to cancel the shoot. After talking with Araceli we decided to shoot! This past Sunday was pretty wild in terms of the weather. The morning was amazingly beautiful - blue skies and all. By the afternoon the clouds started rolling in. By the early afternoon it was POURING! But then it stopped, but then it started again, and so on and so forth. It was a bit frustrating, but "the shoot must go on" I kept telling myself. 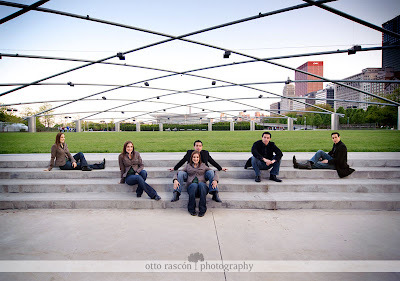 And the shoot did go on at Navy Pier and it was an amazing shoot with dramatic clouds and a pretty darn cool couple. Here is a quick sneak peak of sorts. More to come. By The Way: Stick to your guns and do the shoot - that is of course if your client is also willing. I love photographing downtown, especially in the early evening. That's when we get that "magic hour" light - the orange/warm light from the setting sun. It's also pretty sweet when we get 70+ degree weather in early April. That is something that rarely happens in Chicago, but we gladly take it when it does. I was shooting the engagement session of Jovi & Nedjo with Ray Pryor of Emotia. Jovi & Nedjo are a loving & fun couple, and so easy to photograph too. There were plenty of smiles and laughter going around, even as the crazy wind kept blowing Jovi's hair all around. I know we live in the "Windy City," but it was too literal that day. It seemed that Ray and I kept making sure that Jovi's hair wasn't in her eyes for a good portion of the shoot. She was so cool and calm about the wind. I feel like we made the most of a beautiful evening at the Adler Planetarium and Shedd Aquarium. 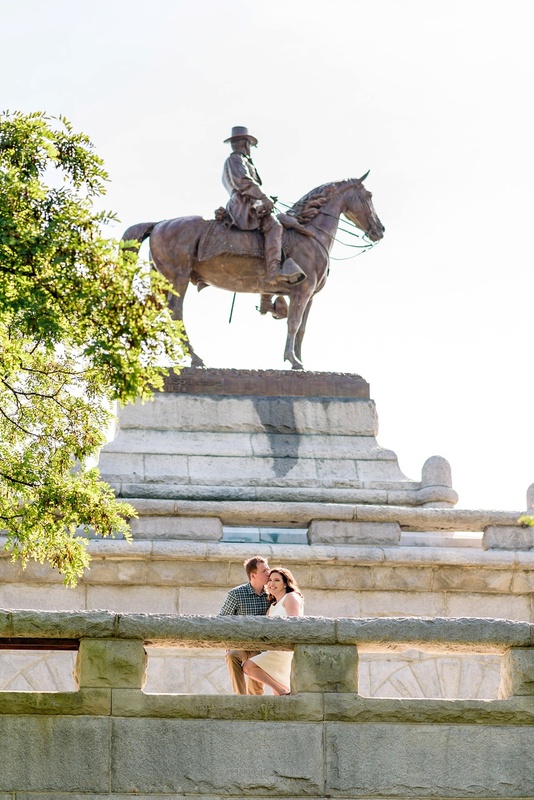 My many thanks to Ray Pryor for having me be a part of this engagement shoot. I am looking forward to Jovi & Nedjo's wedding! Thanks guys. By The Way: This shoot was a blast. Shooting with my friends is something that I am looking forward to this 2010 wedding season. I am blessed to have such talented friends. Nikon SB-800 - Triggered via Nikon CLS. There was no light modifier on the flash. 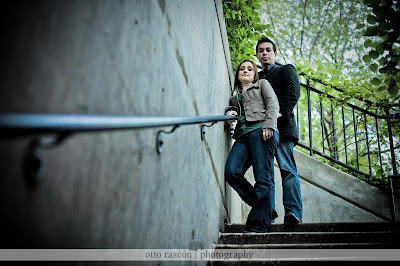 I am so excited to be shooting Vanessa and Luis' wedding in July. 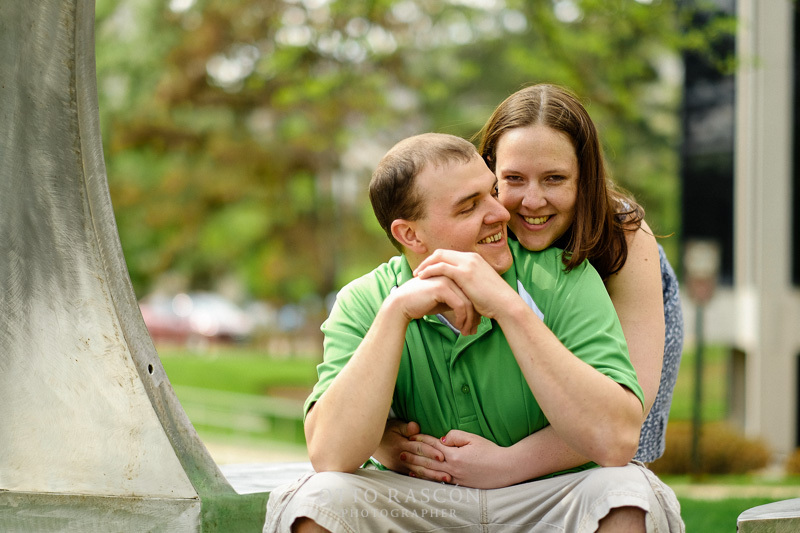 So this engagement session meant a lot to me. I was looking forward to seeing them both again and working with them. 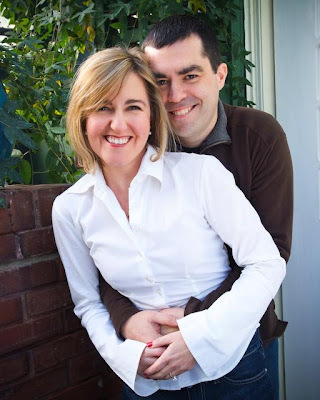 They are a blast (man, I have some really cool clients!). I noticed that they both love to laugh, something that I am attracted to big time. They are also willing to try different/creative poses, something that I am also attracted too. So we met up at their sweet place in Bridgeport and took off to Buckingham Fountain and Millennium Park. Vanessa's mom was ultra cool and drove us around the city. Seriously, how amazing is her mom?! We set up at Buckingham fountain and the walked around its perimeter. That whole area has some amazing landscaping and we took full advantage of it. 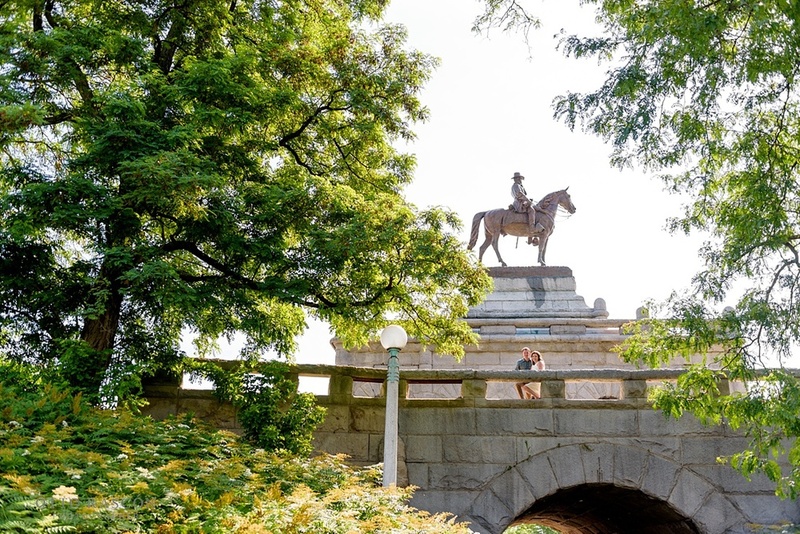 If you have never walked around that area then do yourself a favor and check it out! We then drove off to Millennium Park. This place has so many places to shoot at. 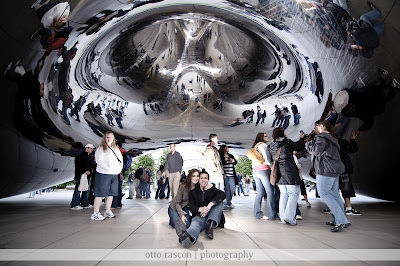 We went to the Crown Fountain (aka water towers), the Cloud Gate (aka the Bean) and finally the Pritzker Pavilion. Each of these places have their own feel and look to them. The last image in the series is copmosed of about 8 photographs that were merged in Photoshop. After the series were taken we took off, literally, to meet up with Vanessa's mom who was double parked on Michigan Ave. I am sure that is was a funny site seeing three people running like mad through Millennium Park. 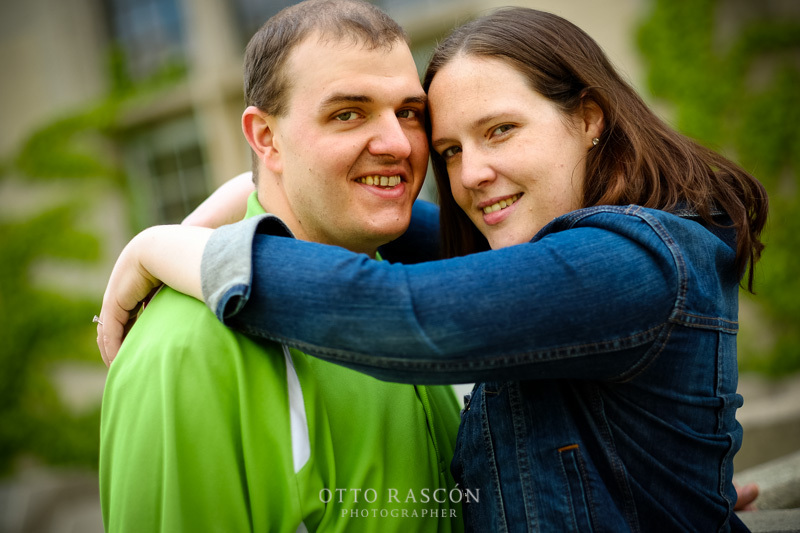 I had the honor of photographing Tim and Faith's engagement session earlier this year. 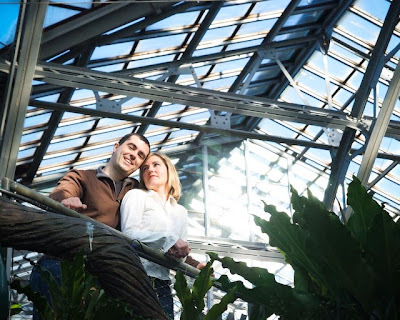 We drove over to the beautiful Garfield Park Conservatory and had a great time shooting indoors. 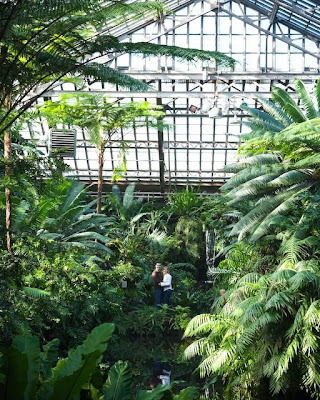 The conservatory is amazing with its large and lush plants and beautiful outdoor park. My many thanks to Tim and Faith!! !